In a campaign finance report filed last week, Elk Grove mayoral candidate Tracie Stafford reported raising $14,750 in cash donations for the six month period ending June 30, 2018. The reports were filed with the Elk Grove City Clerk's office. Stafford started 2018 with $26,622, recorded expenses of $16,976 during the six-month period and reported $24,161 on hand as of June 30. During the period the donations came from 38 donors, 37 of which were individuals. In a press release, Stafford noted her campaign is funded by small donors, unlike her opponents Steve Ly and Darren Suen who receive large cash donations from various business interests, including those doing business with the city. Stafford further emphasized her small donor base shows she is "unbought and unbossed" and that over the course of her entire campaign the average donation is under $100. "At the age of 52, I am solid in my values as well as my reasons for moving into public service," Stafford said. "I am a firm believer that political power should be used to empower rather than silence the community. 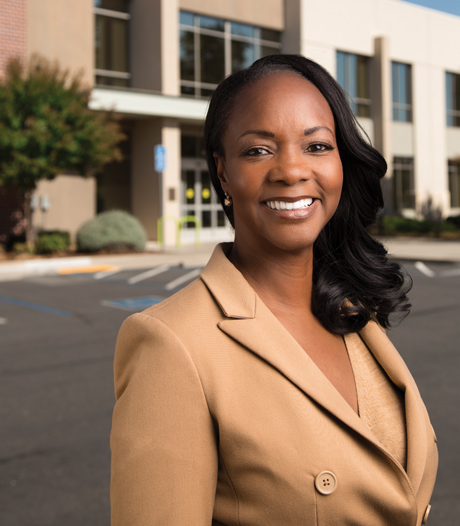 My goal as mayor is to provide a brighter future for all Elk Grove citizens."